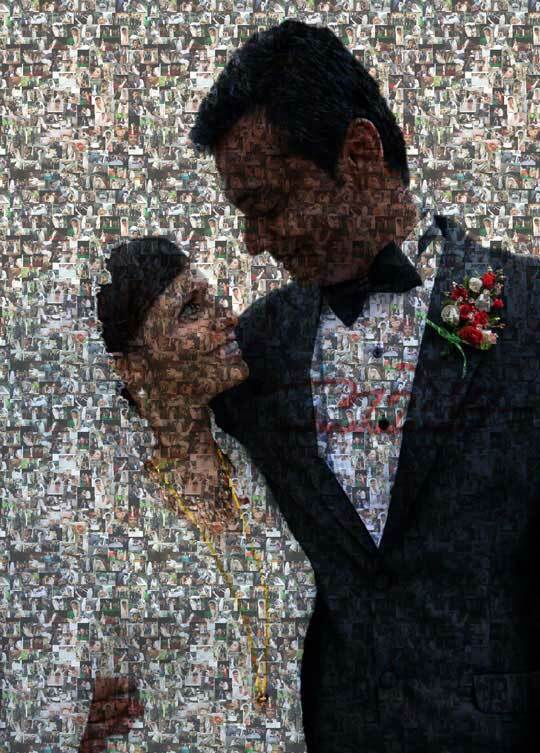 Created this photo collage for Anup and Priyanka as their marriage anniversary gift. This collage has most of their wedding photographs and overall it looks like as one of their favorite photograph from the wedding function. Yogs came up with this idea of doing their faces, Priyanka’s face with Anup’s photographs collage and vice-versa. We discussed a bit and decided to do this. After seeing their wedding photographs, I was scared to touch the photograph as it looked mammoth task, but somehow, gathered some courage to do it after doing some search on internet. Here is the output in front of you, I am happy with the overall output, but I am sure it can be improved in next try, as it is first of such work done by me. You liked it? Yes/No? Write down your views in the comments below. TYPING… Dying to send a reply? Zindagi ka Sach: the Truth of Life!